If your company is multi locational [PAN INDIA / GLOBAL], then it has a unique set of challenges. Accounts, Inventory, Sales, Client and Vendor management are often in their respective silos and decision making is reactive rather than predictive or proactive. This whitepaper delves on many of the problems common to most firms and the solutions thereto. PROBLEMS : Do any one or more of the following sound familiar ? Integrated MIS is received almost a month after the event. Remedial measures are ineffective because of passage of time. Control of limits of customers and vendors is not adhered to. Exceptions are not captured. Accounts receivables is a big line item that needs constant monitoring. Additional stock needs to be maintained since branch / depot / warehouse wise minimum inventory levels are not replenished in time through predictive planning. Statutory deductions (sales tax, service tax, excise etc.) are not consistent and returns are not filed in time. Invoices do not sometimes reflect the correct tax classes / scheme discounts and need to be revised. Add on Dr / Cr notes need to be issued. i.e. Billing is not standardized as per state wise laws and requires checking rather than being automatic and process driven. The electronic email trail with Stakeholders -- customers and vendors is across various personnel. There are multiple documents versions which leads to confusion. Information is not shared and often lies with one person in his / her email inbox. Sales reps expenses management is laborious and takes many man hours for entry by the sales staff and subsequent authorization. The paper trail is immense. Again exceptions are not captured and there is no standardization of travel / hotel expenses -- as compared to the average. Sales Rep travel plans and leave plans are ad-hoc and not subject to a well monitored advance plan. In short : Too busy concentrating on the IT and process challenges and resolving disputes between stakeholders -- rather than focusing on the business. If your answer to one or more of the above is yes, you need to actively consider moving your accounts to the cloud and leveraging the advantages of modern technology. Utilize the power of social media, mobile, analytics and cloud - SMAC (read the whitepaper here) to drive your business. Decision makers often parry and delay because of issues relating to security and control. Resistance to change and inadequate information on the modern methods and practices is also a reason for not taking the leap of faith. Through the case study below, we hope to answer many of your queries. Facts and figures are based on an actual implementation. 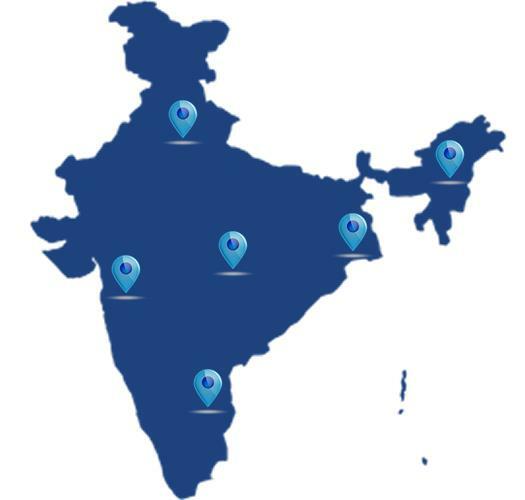 Pan India with 4 branch offices, 15 depots / warehouses and > 10 CnF agents for the North East and Eastern regions of India. Firm manufactures FMCG products. More than 100 SKU reaching a few thousand retail outlets through a mix of direct sales, secondary sales and CnF agents. Some of the branches / depots are in tier two / tier three cities where internet speed is very basic and not reliable. e.g. Trivandrum, Ludhiana etc. Firm has two manufacturing outlets -- requiring adherence to statutory requirements of the Excise department. Firm exports to Middle East and North Africa (MENA) -- requiring forex transactions for some vouchers. More than 25,000 vouchers per year. Data backup is now in real time / daily and automatic, requiring no manual interaction. Dependence on Admin / IT personnel is removed as the backup is process and system driven. 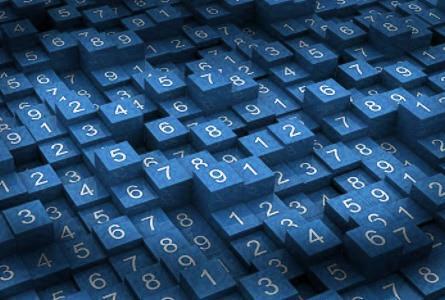 Single source of data implies data is always consolidated in real time. No process whatsoever is required for site / branch / warehouse / depot integration. HQ can see data related to one / some / all sites -- anytime, every time. Huge saving in time effort and money. Huge improvement in quality of MIS. Access controlled through static IPs, such that users could login only from designated office locations. Users cannot login from outside the designated offices. For some field users -- a 2FA (two factor authentication) solution was deployed -- wherein they had to key in their password and also a numeric code sent by SMS to their mobile (like credit card / bank transactions). All data is encrypted with SHA 256. No chance of data loss due to embezzlement / natural catastrophe as server is not physically present on site. A complete audit trail is maintained for all changes made to a voucher (including deletion). Even after login, users were given rights to only those modules which relate to their functions. View only / Add / edit / Delete / export to excel rights were granted based on seniority and roles. The solution was deployed on the IBM cloud with the primary server in Singapore. All cloud benefits like nil capital expenditure, scale-able, anywhere anytime access etc. accrued to the client Do read the Whitepaper on the Advantages of Cloud Computing. Even tier two and tier three towns had no problems accessing the cloud solution. For tier 2 / tier 3 cities, delay / latency time is less than 1 second for more than 95% transactions. Less than 3 seconds on rare occasions. If the internet is down, authorized users can access (read only) MIS / reports through their mobile app. Centralized processes and rules ensures that the 1000s of invoices all adhere to a standard and a single set of rules (1 algorithm and 1 set of settings). Errors dropped by a factor of 10 -- to less than 10% before the system was deployed. A mobile app for expenses management resulted in a huge saving in time and effort -- both for the Sales Rep and his line manager / authorizing authority. A transparent and process driven system ensures happy Sales Reps. Accounts Receivables Credit limits set by the system could not be over ridden (unless specific authorization was taken). System generated emails / mobile notifications ensured customers paid faster. Reduction in ageing days of overdue payments. This ensures a PULL system -- removing the need to send invoices / statements / reminders multiple times. Schemes are introduced in a flash and all stakeholders can be informed immediately (through mobile and email messages). Backup and synch / integration of data -- IT / Admin tasks were made redundant by system processes. Accounts Receivables -- System generated messages and mobile SMS reduce time and effort many times over. Receivables drop. Dispute resolution. Disputes among internal and external stakeholders drop by more than 10 times. Resolved faster. Flexible and intuitive -- work from anywhere, anytime any device. Near nil training required. Concentrate on business -- all IT headaches left to the specialists with far higher reliability. All data is secure and centralized. A single source (one database) on the cloud. One version of data -- no confusion. No synchronization or integration or backup of data required. No requirement of IT personnel and collaboration between branch heads. Saving of time, effort and money. No processes required to see data / reports of any depot / branch -- single or consolidated. i.e. MIS available at all times 24x7 in real time -- no delay. Predictive (not reactive) analysis and faster response time to issues. All billing rules centralized from HQ -- ensure and force standards. Far lesser number of debates / disputes between stakeholders. All customers / vendors can see their ledger and stock statements and status of payments / receipts on the cloud. To login they require to enter their registered mobile number and a time based password is SMS-ed to them. This ensures that there is no need to repeatedly send invoices and statements. All stakeholders can pull data as and when required. All limits and authorizations set one time from HQ -- ensure consistency across branches and warehouses - depots. Users cannot over ride system without requisite authorizations which are captured and recorded in the system. Account receivables fall drastically and are maintained within limits. System generated reminders for overdue payments. System generated quarterly / yearly statements. Ensures reduction in emails and decrease in ageing of accounts receivables. Email messages and mobile notifications ensure that customers and vendors are kept abreast of all schemes. Faster roll out. Sales Rep Expense filing enabled through a mobile app. Authorizations and verifications are mostly system driven. A smoother and a faster system requiring far less effort. Happy Sales Reps.
Graphical dashboard widgets and gauges and Exception flags ensure remedial actions are taken well in time --e.g. Low stock items, ledgers not attaining targets, etc. Concentrate on business. All IT related issues are removed.